Two posts in one day? Am I crazy? Am I trying to make up for lost time? No, I am just tricky. I wrote the last post on Sunday, but scheduled it for today. I am sneaky like that, I tell you. 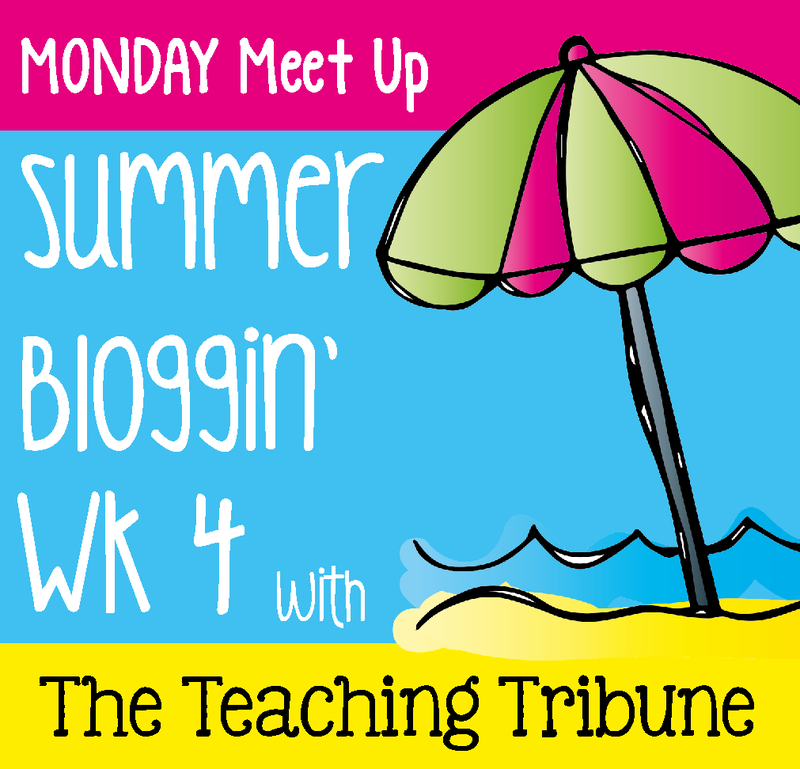 Anyway, I am linking up with The Teaching Tribune for their fun weekly linky party. 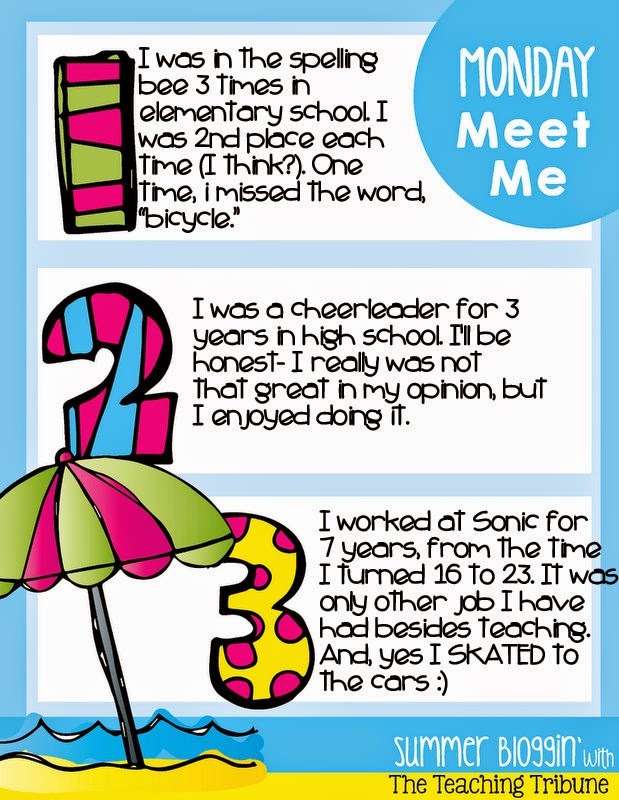 Today, I am going to tell you 3 random, fun facts about myself. I am super exciting and fun, I tell you. And, if you're wondering what my favorite drink at Sonic is... It's a tie between a Cherry Limeade and an Ocean Water with Lemon. I used to drink a lot of Vanilla Root Beer when I worked there, but I don't drink dark soda anymore. And no, I don't think I can skate anymore. I think I would fall right flat on my face if you asked me to skate right now. That was nearly five years ago, people. These knees of mine couldn't handle it. Also, I'm crazy about spelling and apparently I always have been since the first grade or something. If you are interested in meeting more fun bloggers, click the picture below! OMG you worked at Sonic??!! Sonic is the love of my life. I'm besties with the people at the Sonic by my school. I love Sonic! Strawberry Limeades are my favorite :) Im impressed by your 3 times as a spelling bee 1st runner up. I am horrible at spelling and I allllllllllways have been!